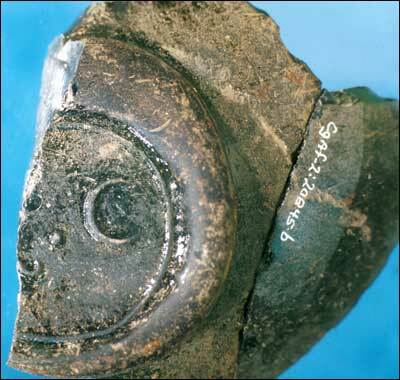 Seal was excavated from a fill layer immediately below the plough zone. This is possibly the seal of Humphrey Bryant ("HB") and his wife ("EB"), or Henry Burdon and his wife (Peter Pope's Ferryland Name Files). Bryant was the Master of the Bull Frigate of London, who fished at Ferryland in 1698 and Master of the Lamb of Bideford, who fished at Ferryland in 1708. He was one of several merchants of Bideford and Barnstaple and commander of ships resorting to Ferryland. He also petitioned the Board of Trade in 1707 for protection of the fishery at Ferryland. Henry Burdon was the Vice Admiral at Ferryland in 1707, at which time he signed a statement that Philip Kirke was the rightful owner of the Pool Plantation. 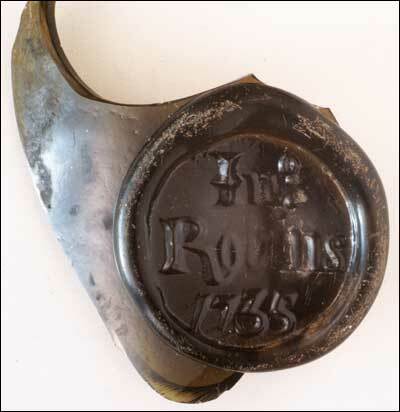 Recovered from the 1673 storehouse destruction level. 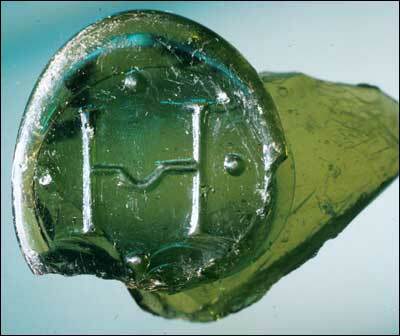 Half a seal, the first letter is possibly a "R." Owner unknown. Excavated from an area containing the remains of a structure that fell down during the early 18th century. 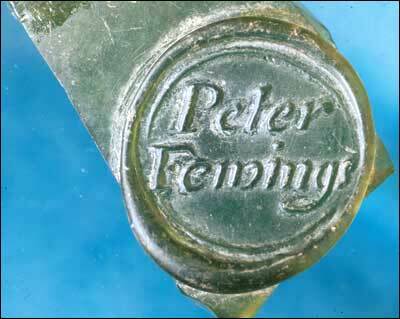 Peter Fewings was Master of the Waterford Galley of Waterford, fishing at Ferryland in 1700 and 1701. May have belonged to William Saunders, a Ferryland planter. Saunders was fishing out of "Peggins room" in 1763. Possibly, a merchant seal belonging to the Holdsworth family. Recovered from Ferryland Harbor. 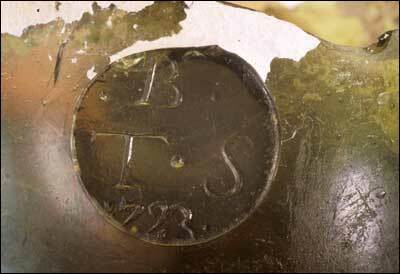 Possibly the initials of Thomas Burley ("TB") and his wife ("SB"). Thomas Burley was Master of the Thomas Burley of Plymouth fishing at Ferryland in 1701. 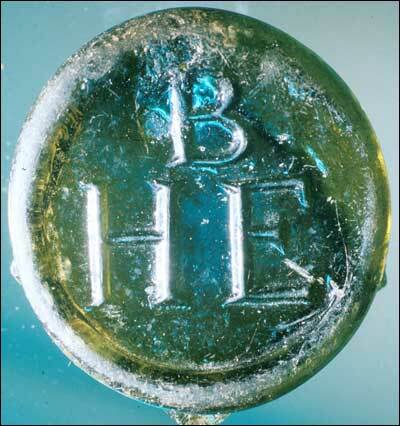 This seal was excavated at Buoy's Island, less than a kilometer offshore from the main settlement. In 1673, there was a William Robbins listed as a planter at Ferryland. Although William died sometime before 1681, he did have a number of children (possibly John) and a wife who was listed as a boatkeeper. In 1726, John Robins sold fish to Edward Burd at Ferryland. 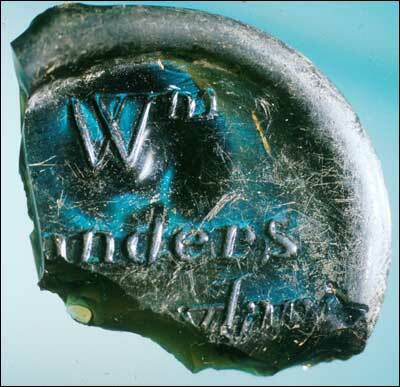 Recovered from the 17th-century midden. 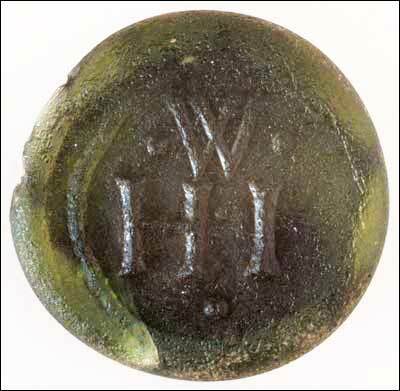 The seal probably belonged to Henry Wickley ("HW") and his wife ("IW"). Henry Wickley was master of the Barnstable Merchant fishing at Ferryland or Aquaforte in 1699 (Pope 1993). ©1999, John Wicks, Department of Archaeology, Memorial University of Newfoundland.